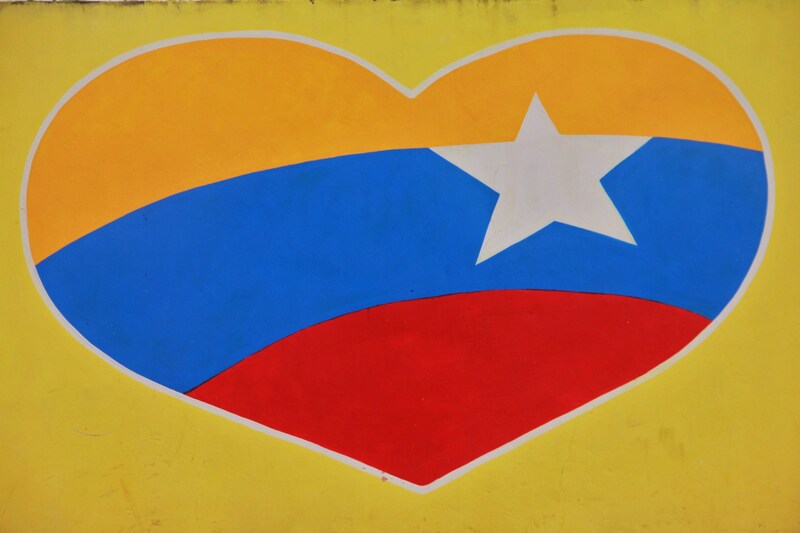 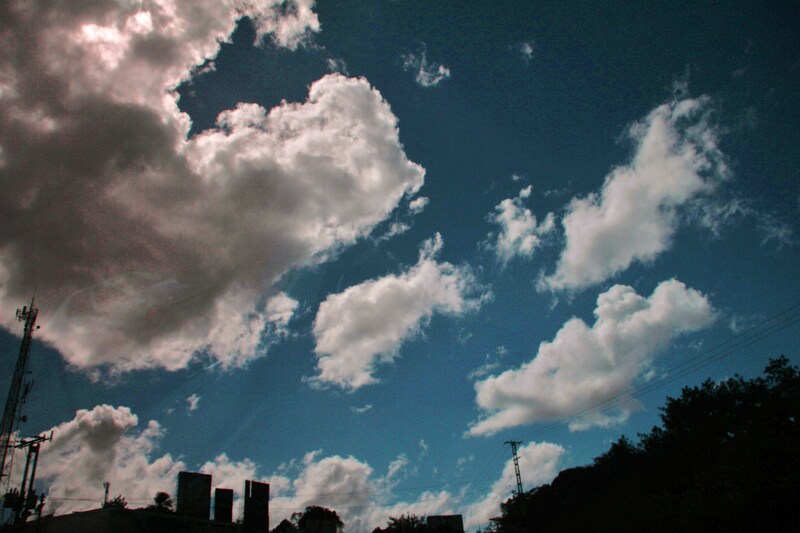 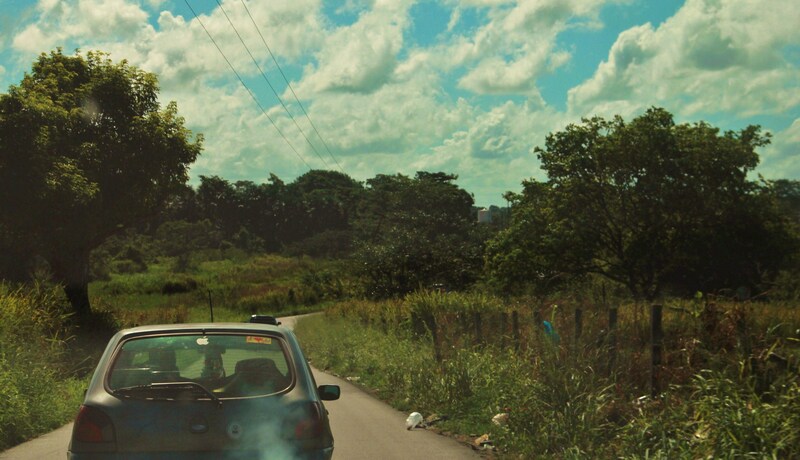 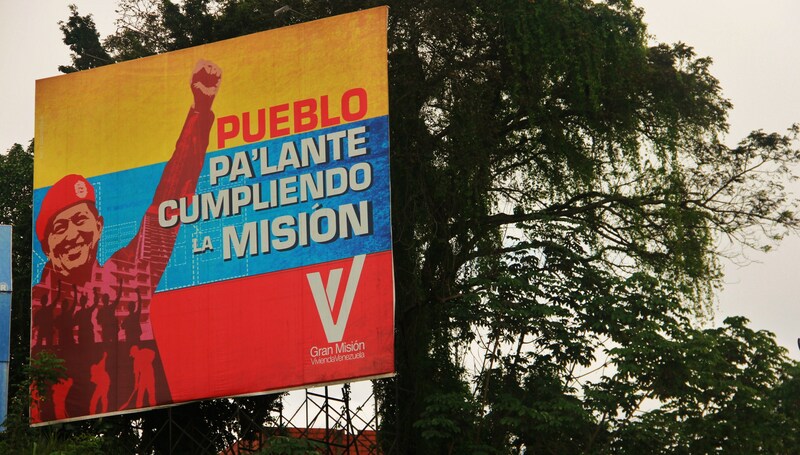 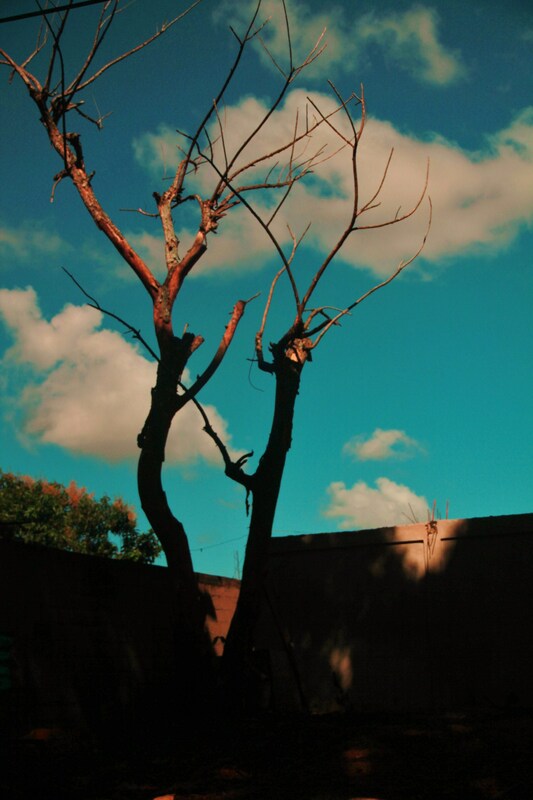 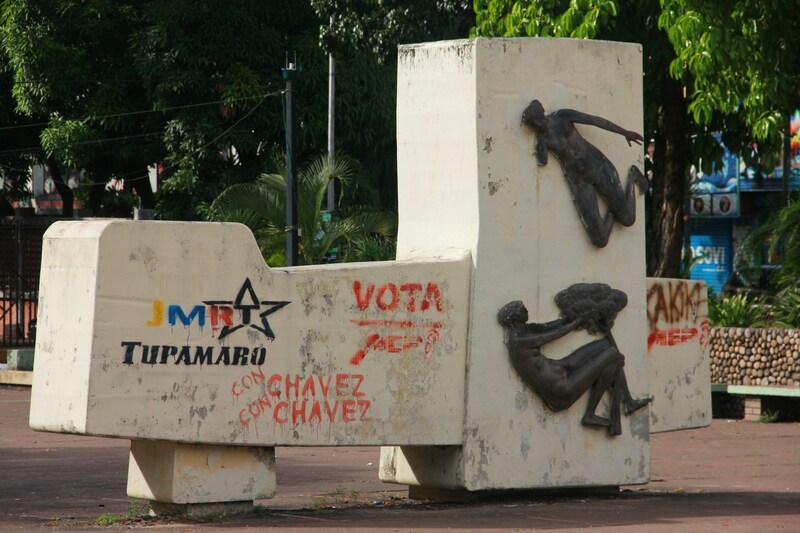 There is definitely divisiveness here in Venezuela. 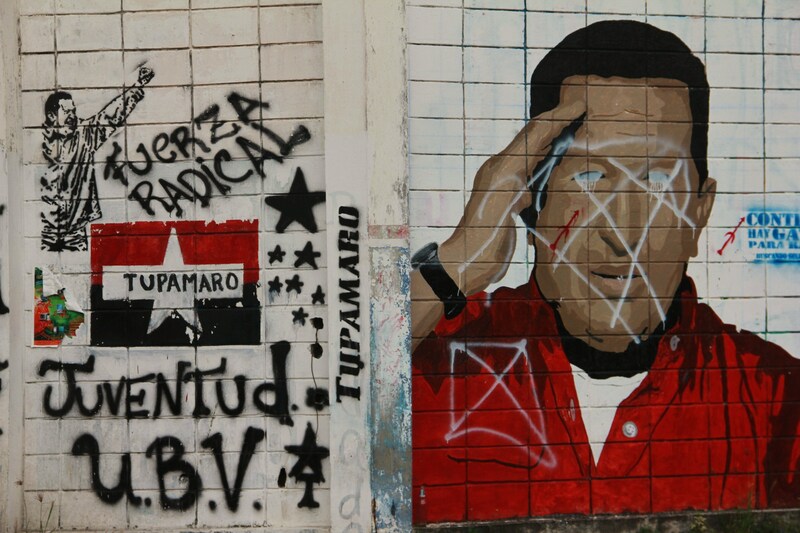 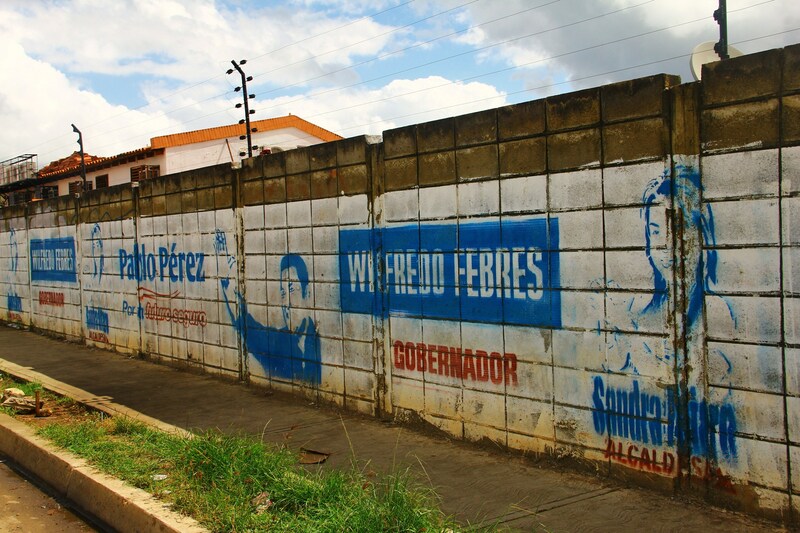 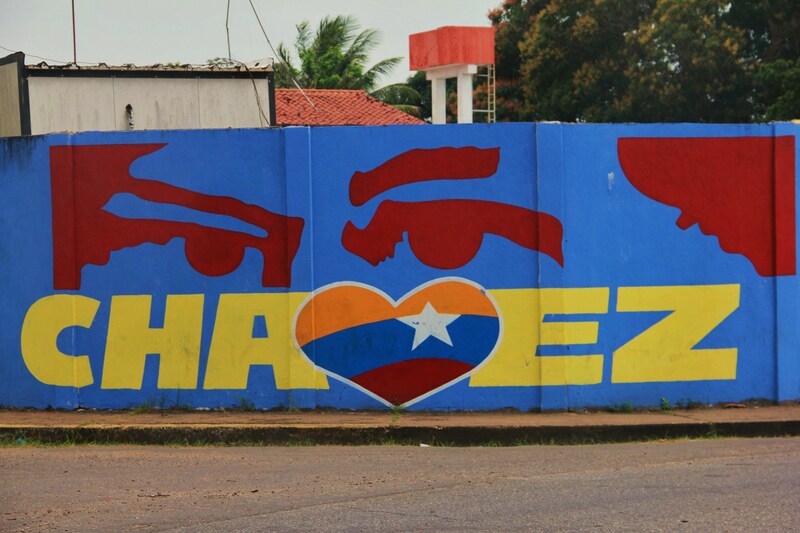 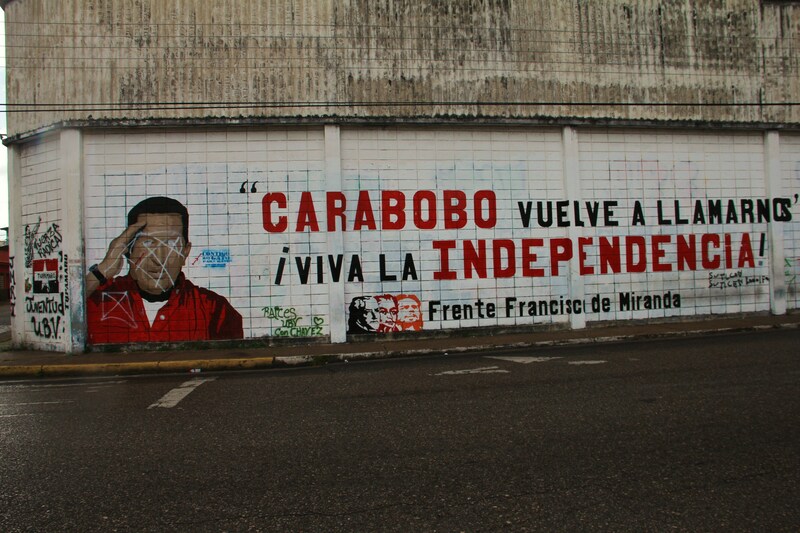 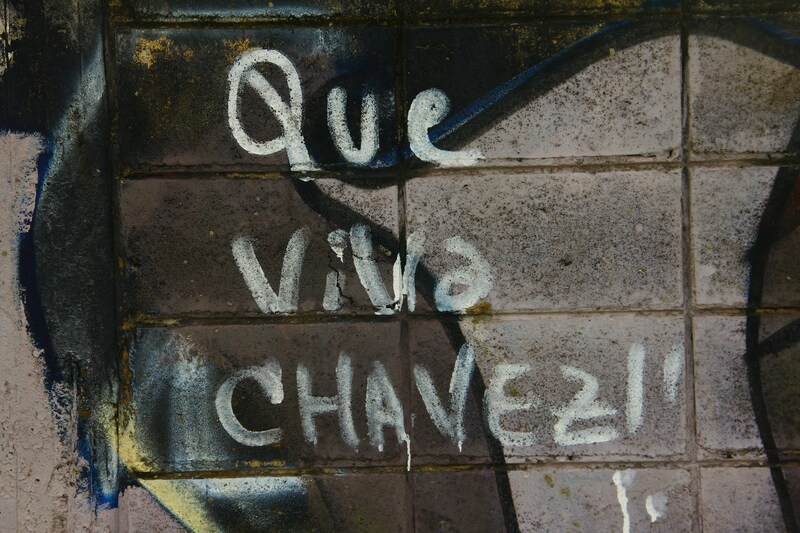 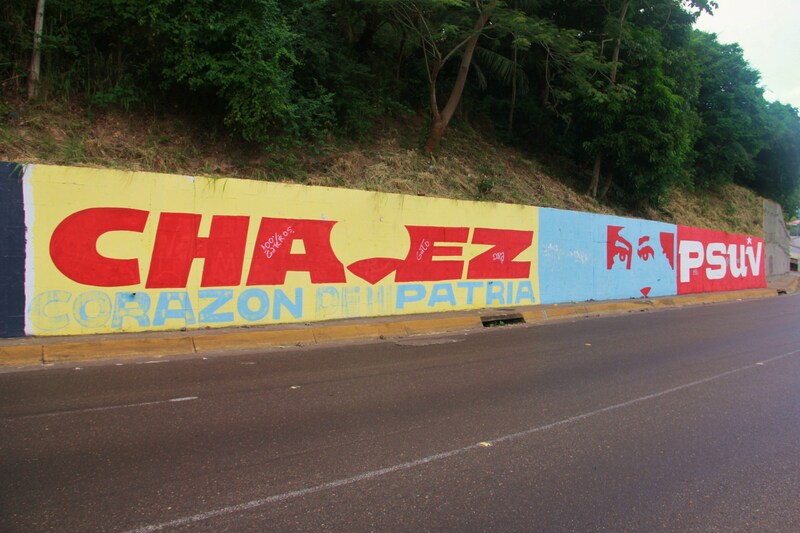 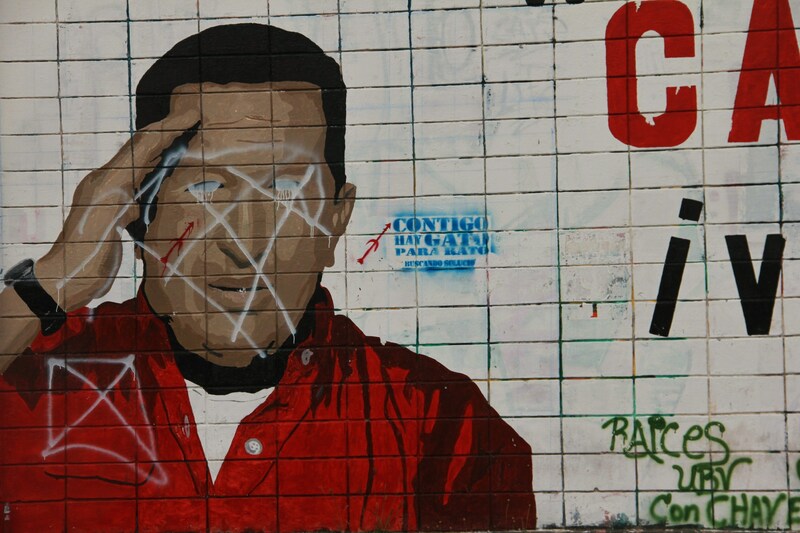 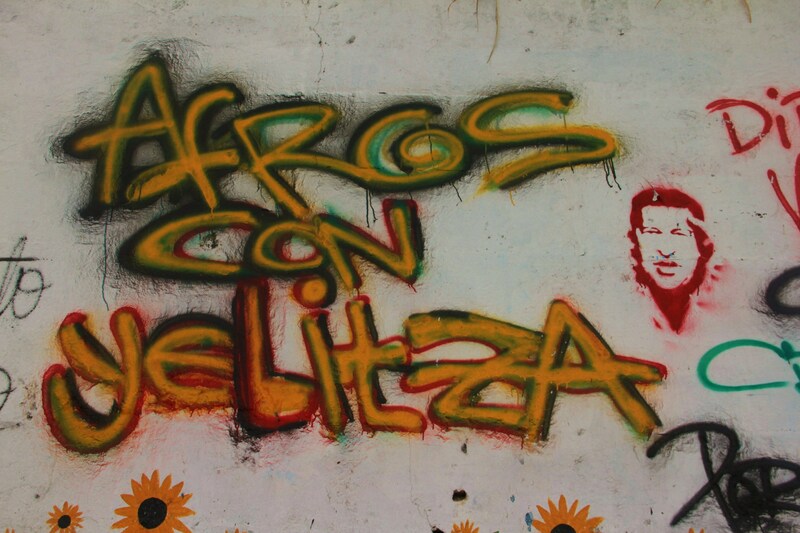 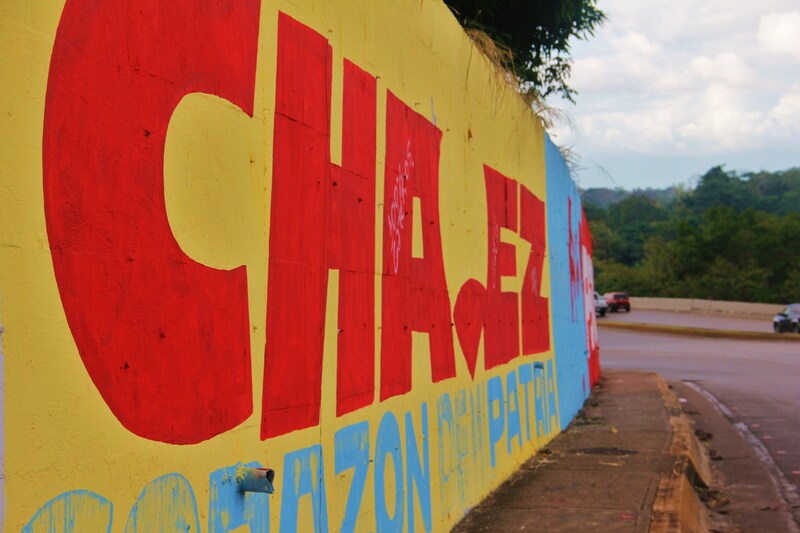 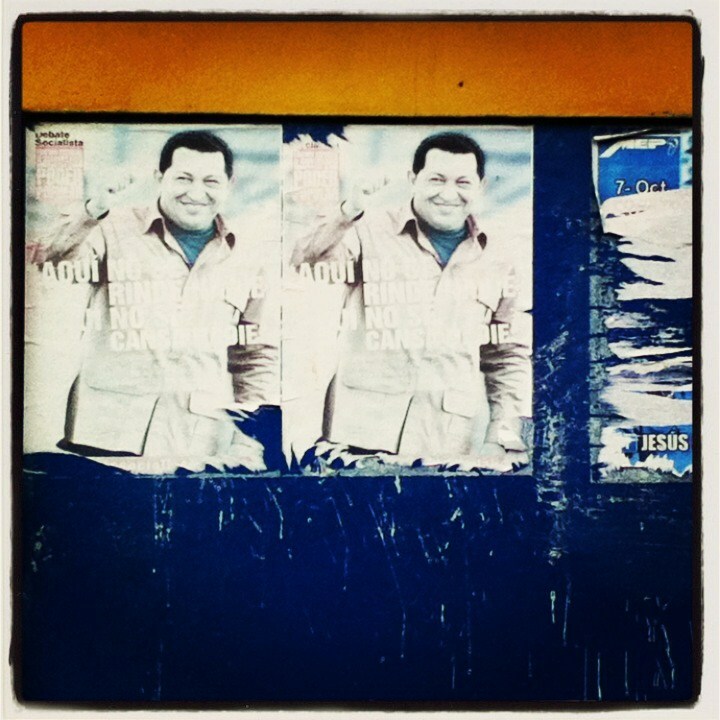 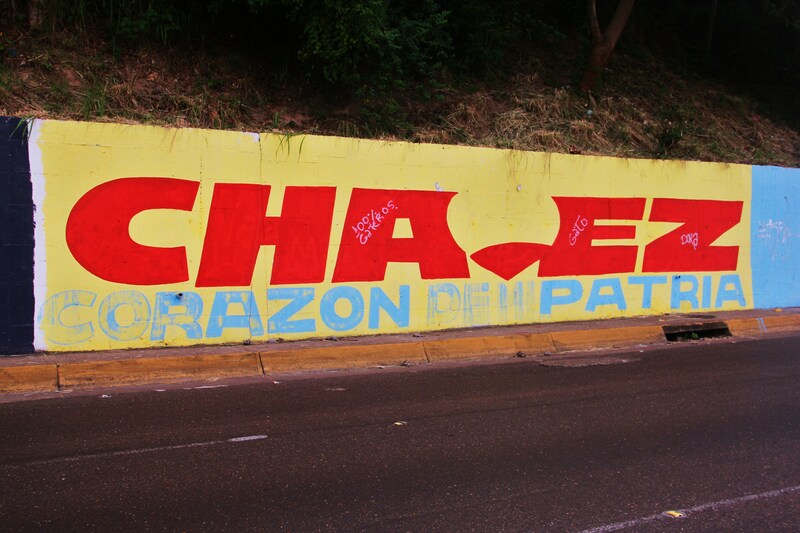 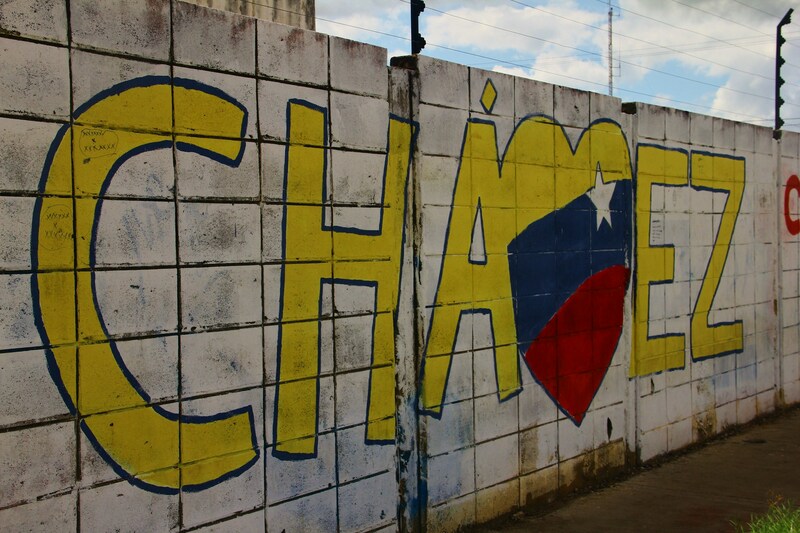 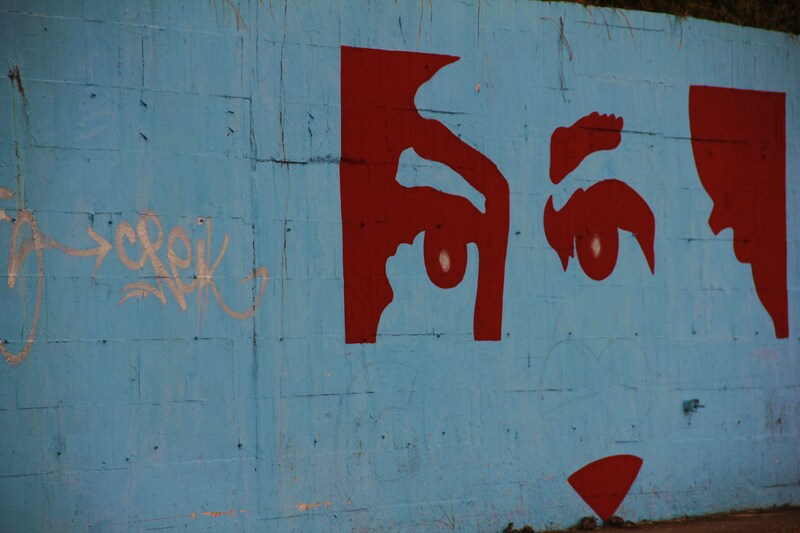 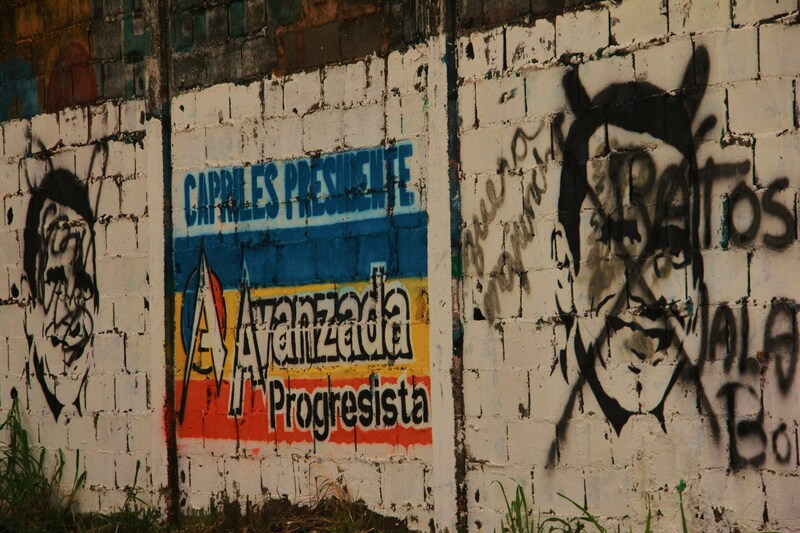 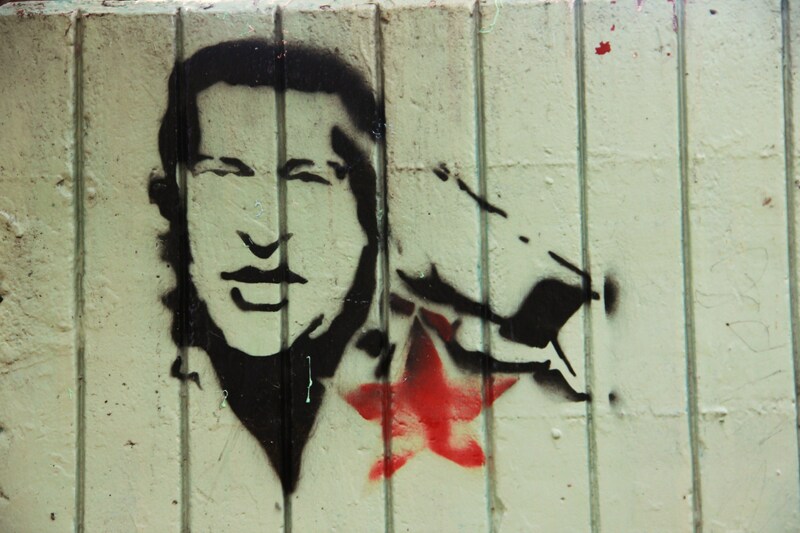 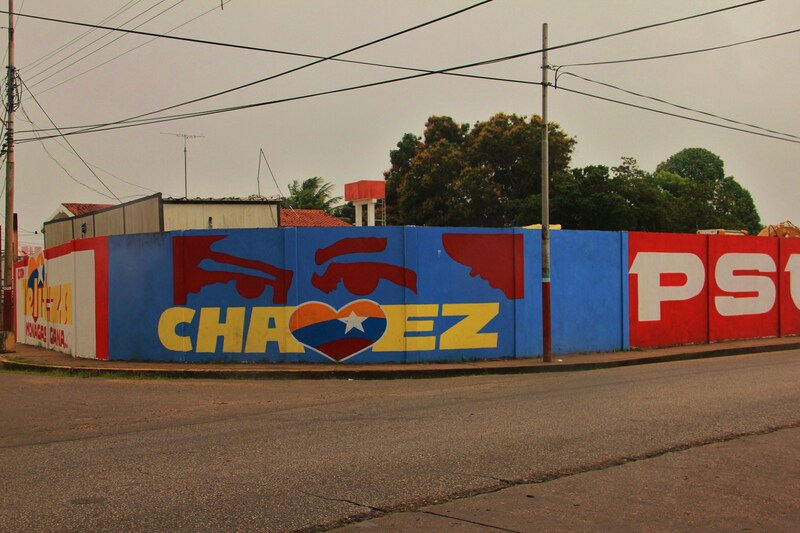 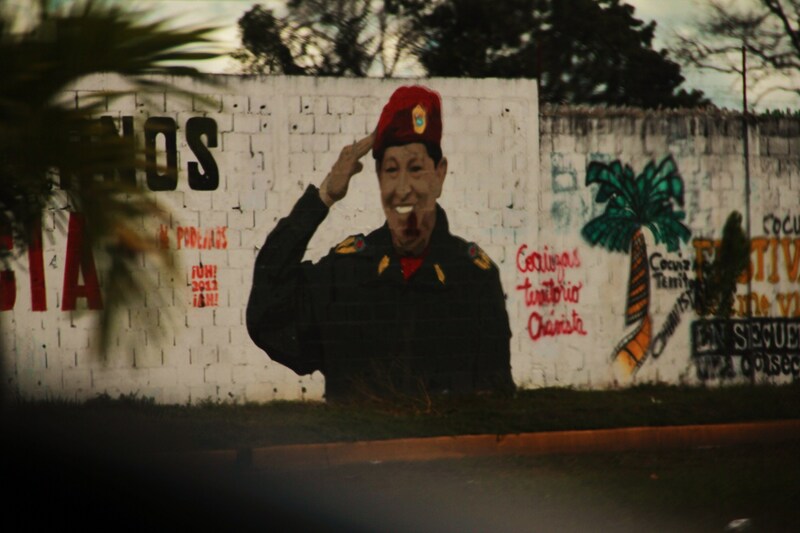 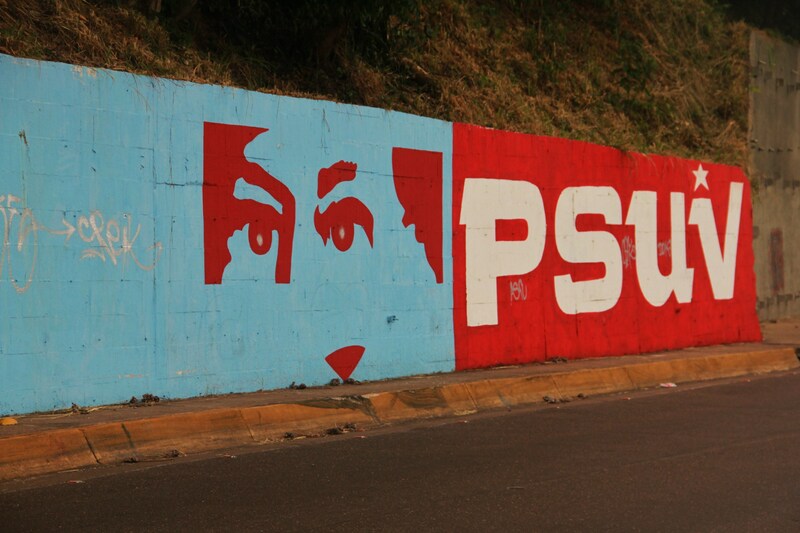 Clearly, some ballsy supporter of the opposition took his/her white spray paint to town on Chavez’s face. 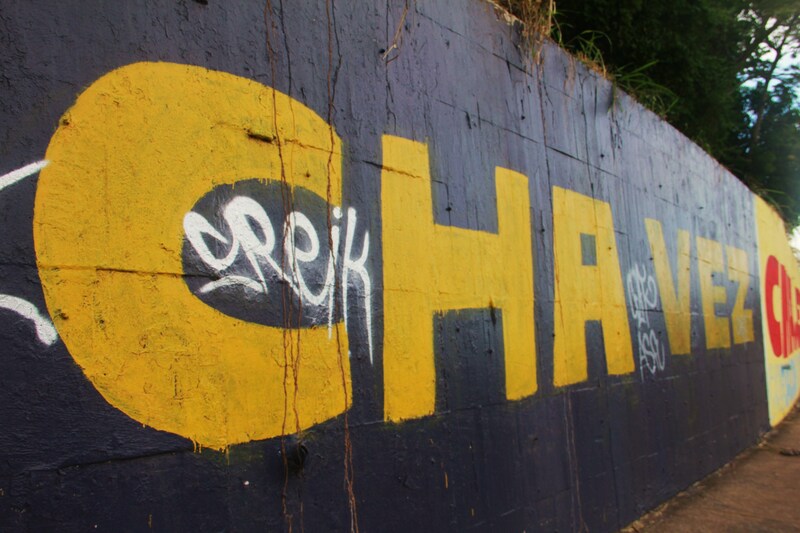 A dangerous deed, for sure, but the aim was achieved. 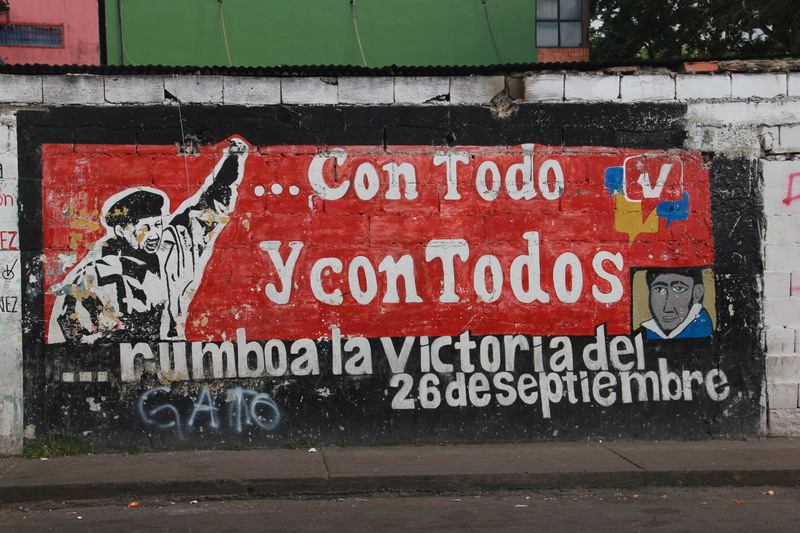 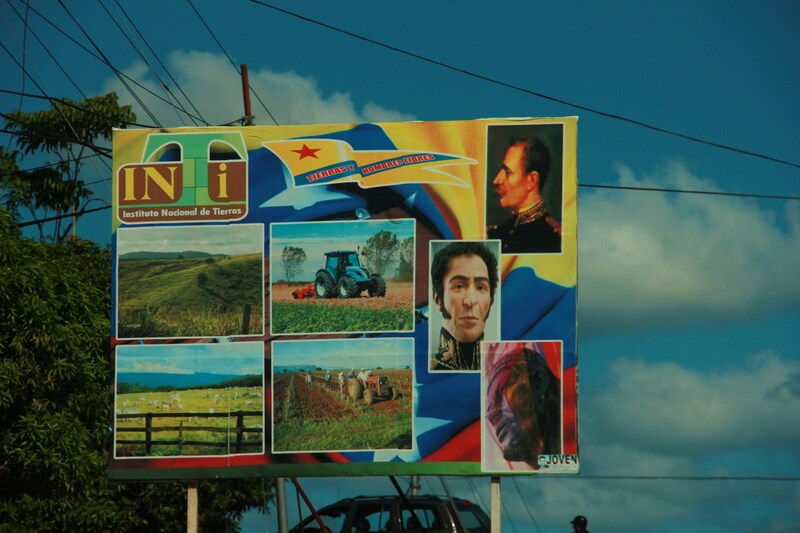 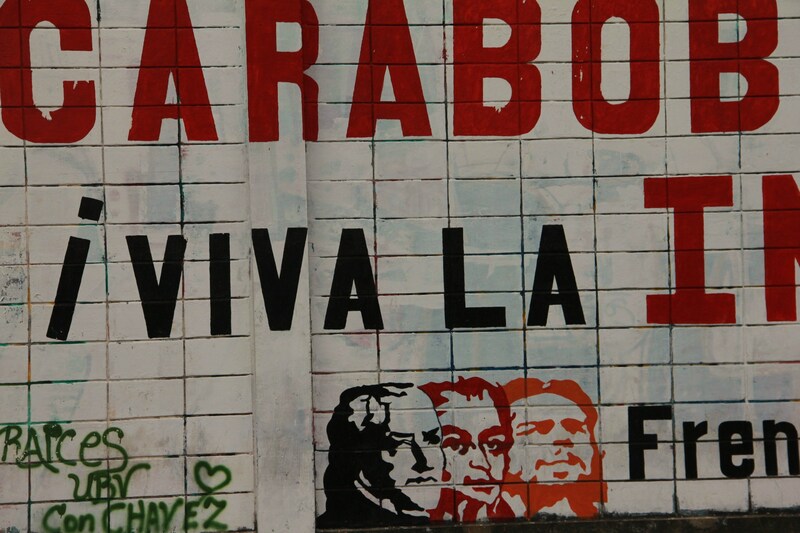 Bolivar and Che are represented above…the other guy is maybe…Miranda? 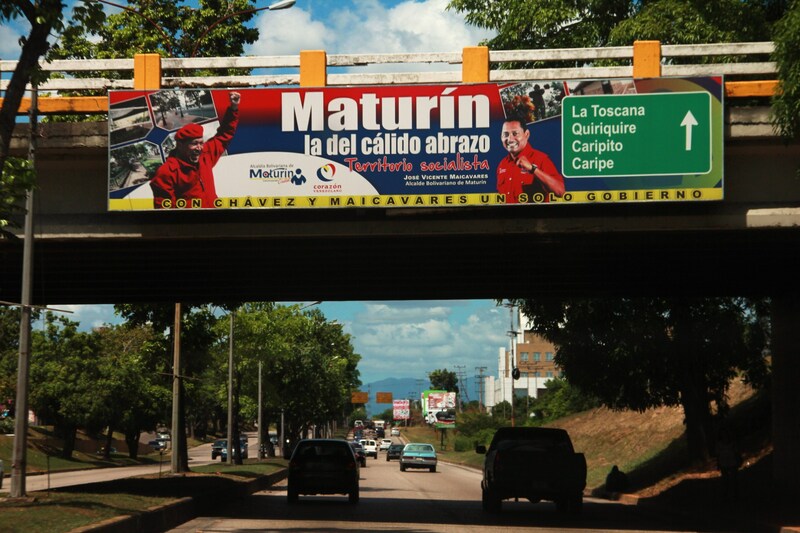 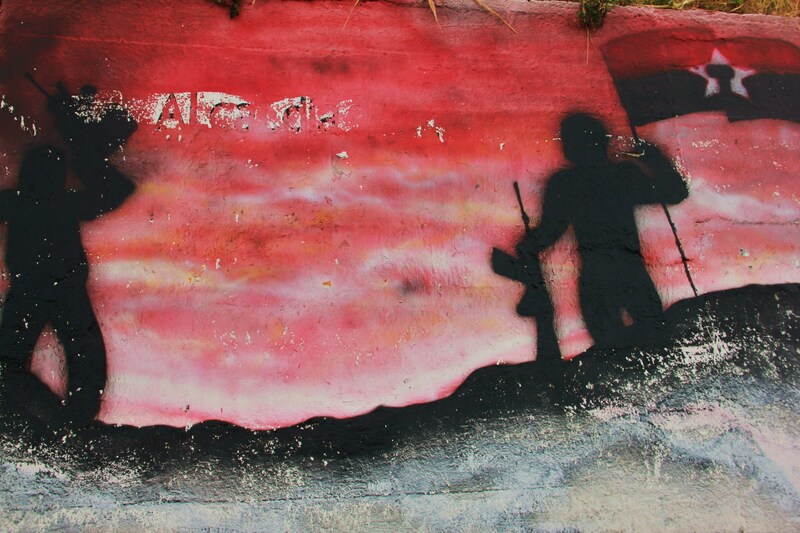 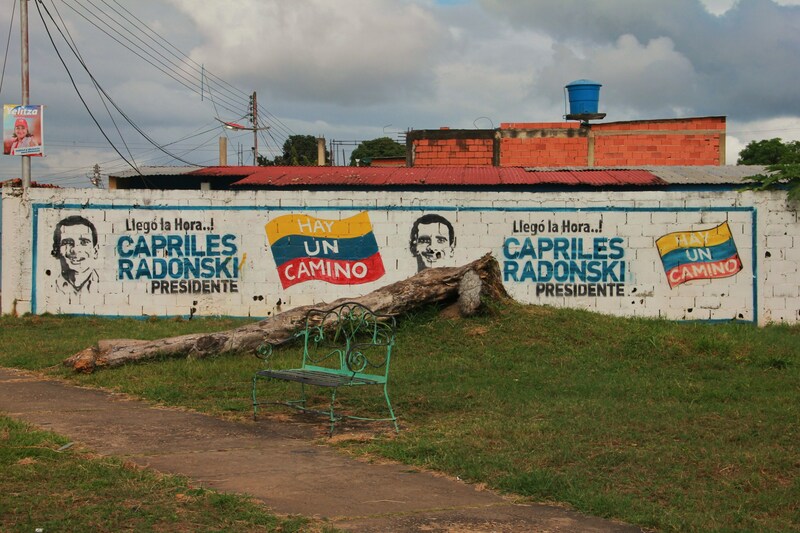 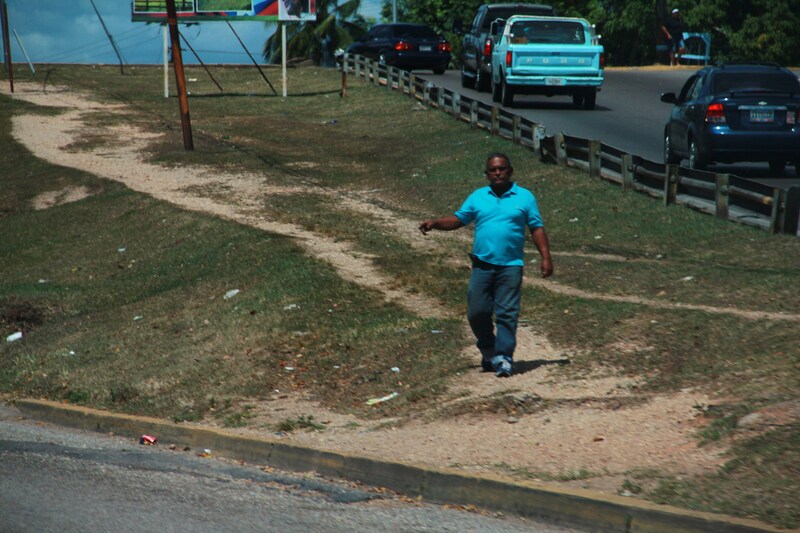 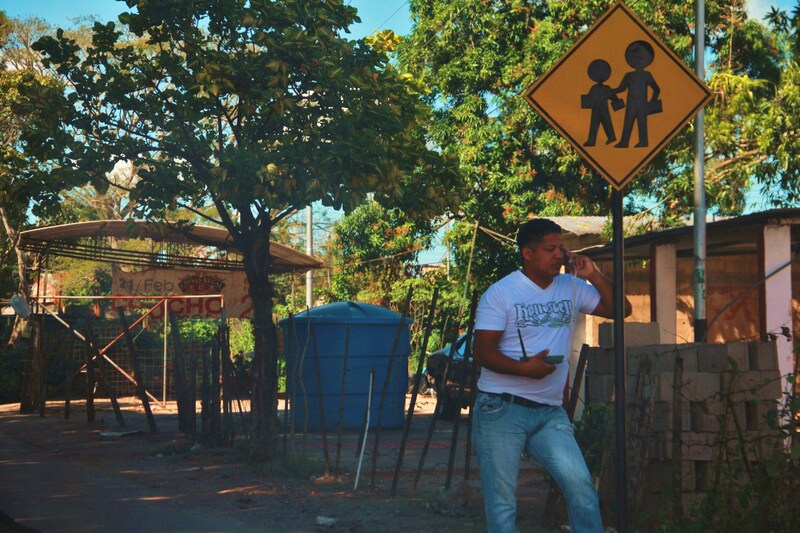 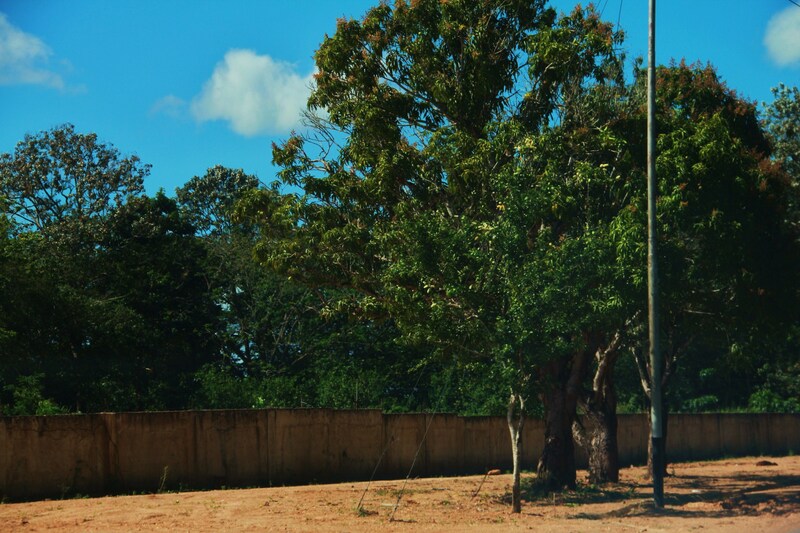 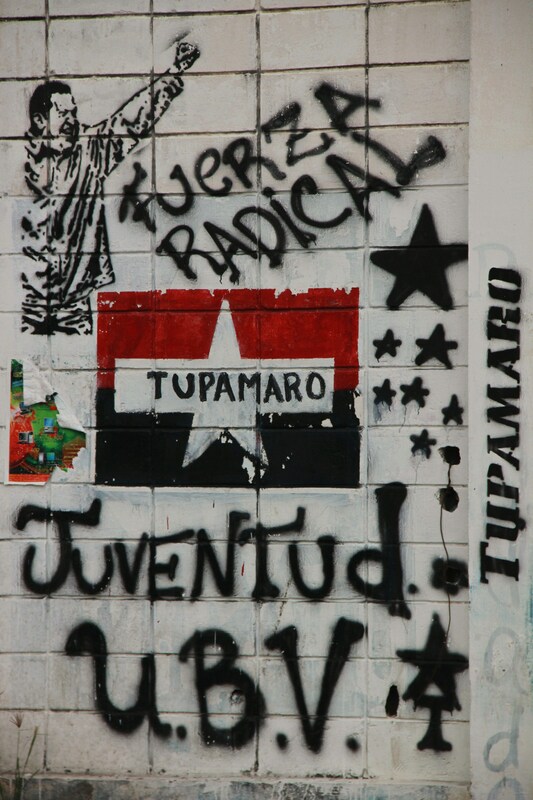 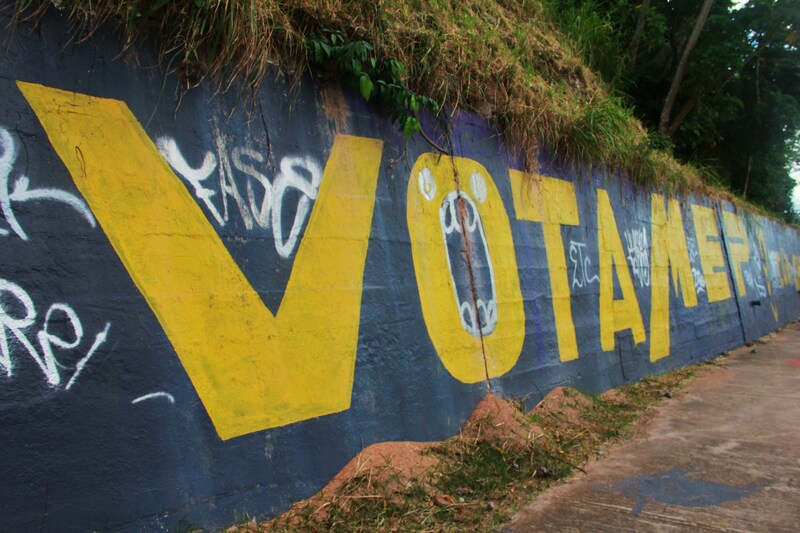 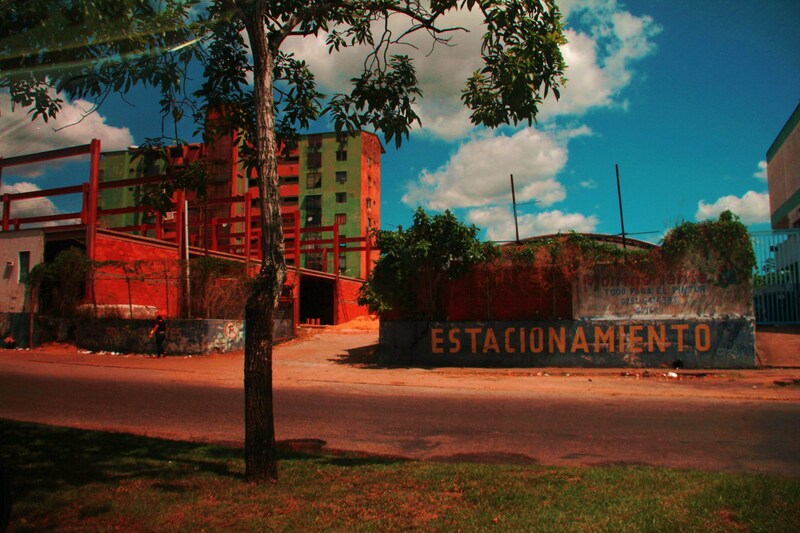 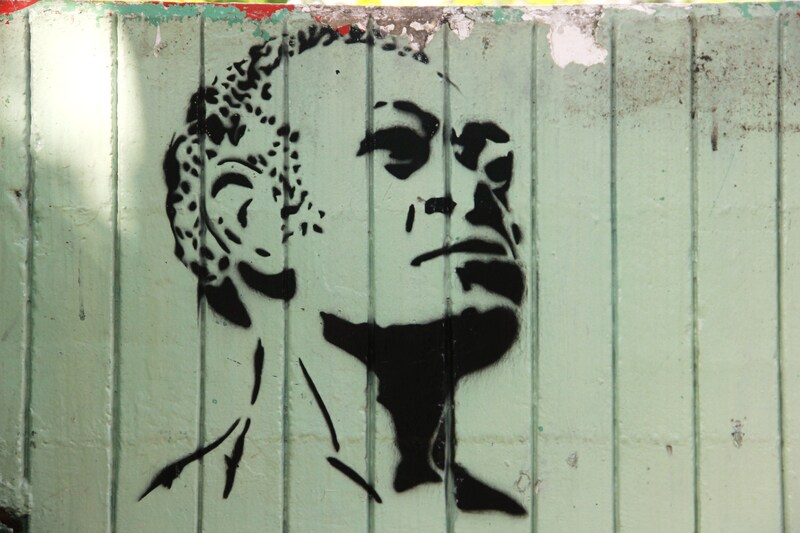 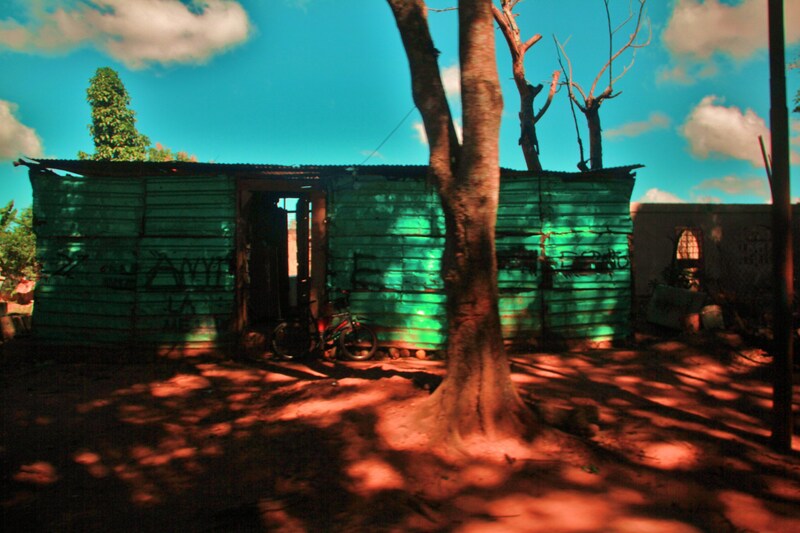 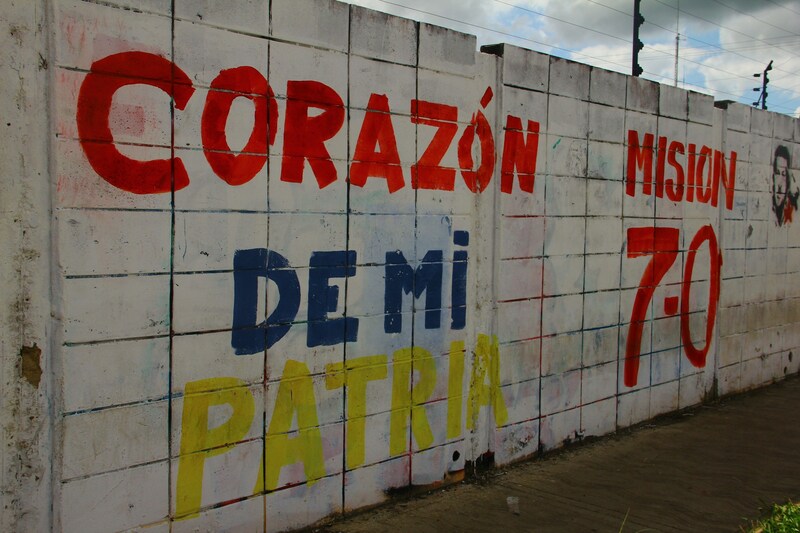 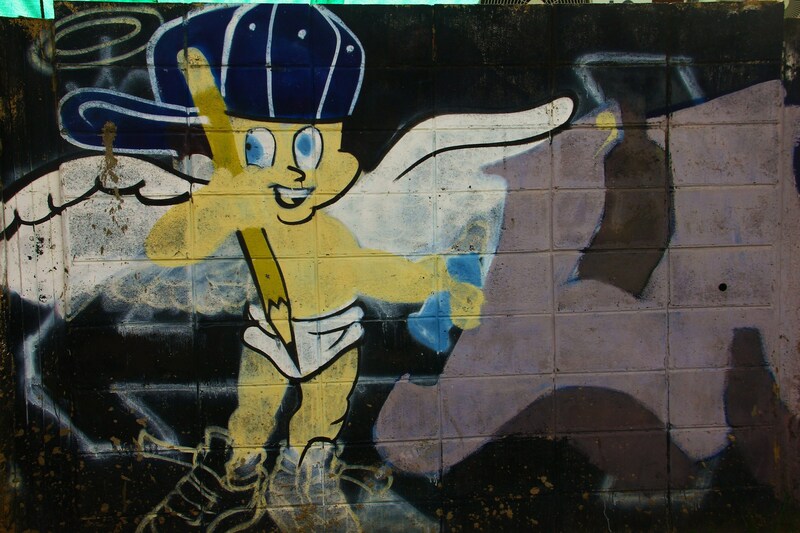 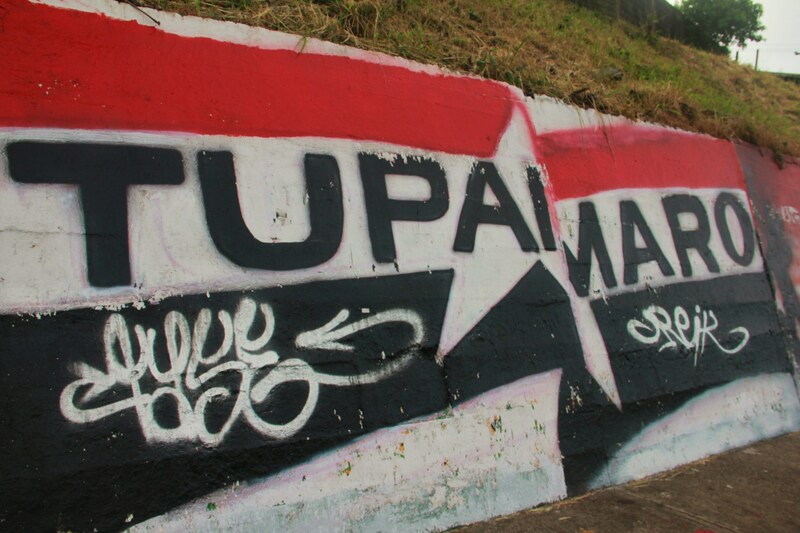 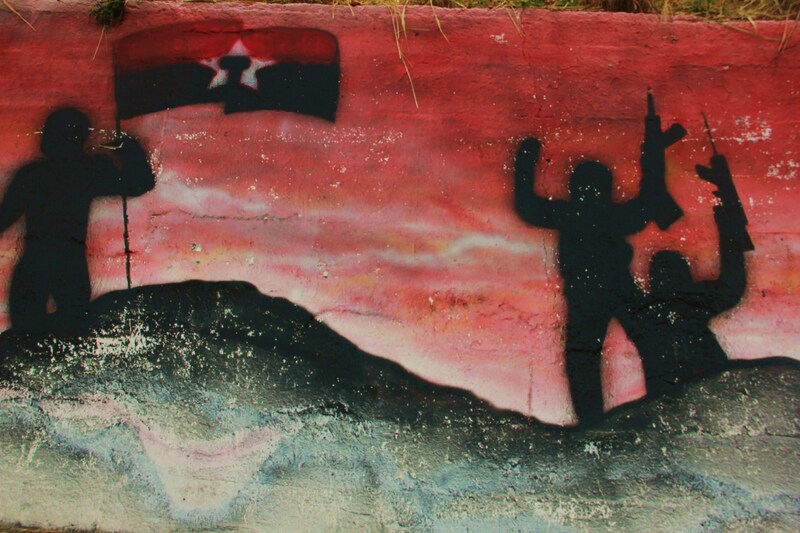 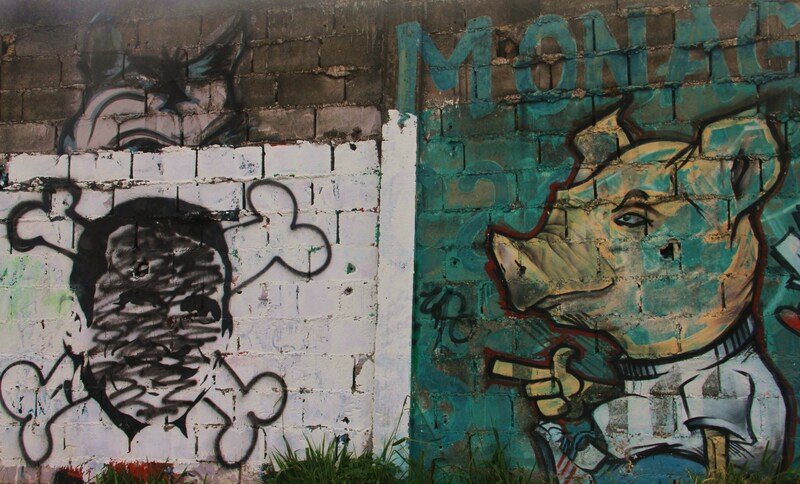 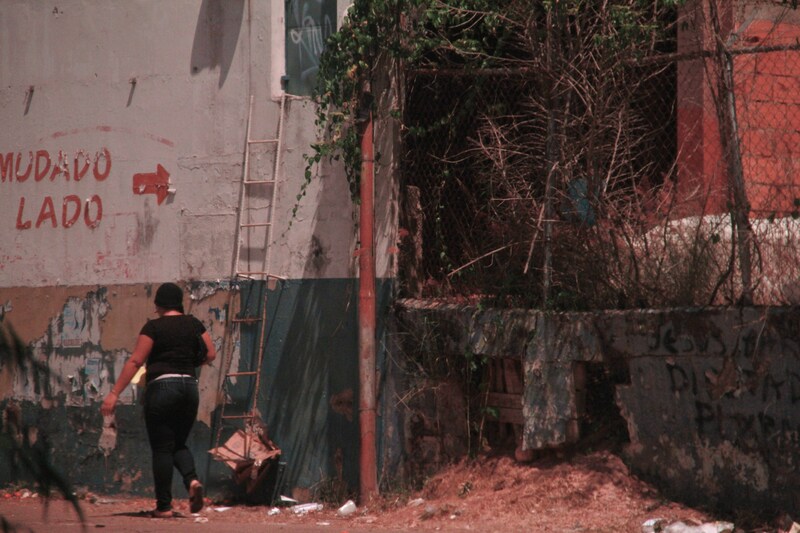 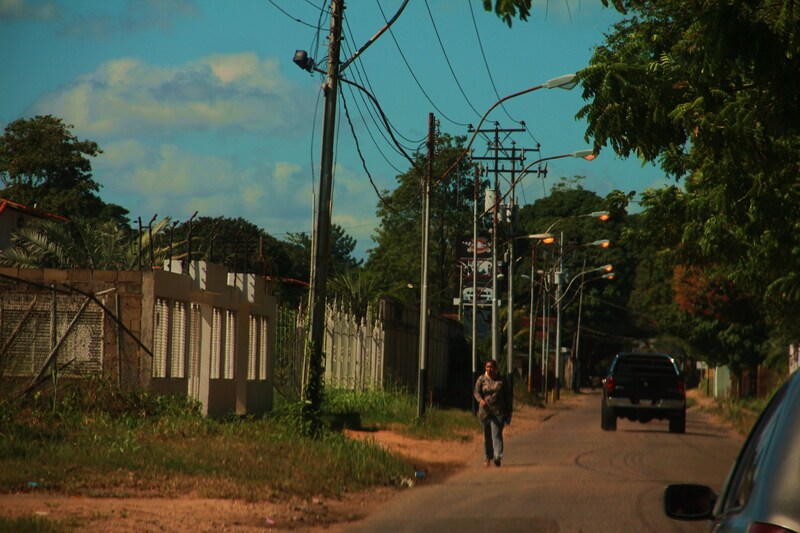 MATURIN GRAFFITI: WITH EVERYTHING AND WITH EVERYONE! 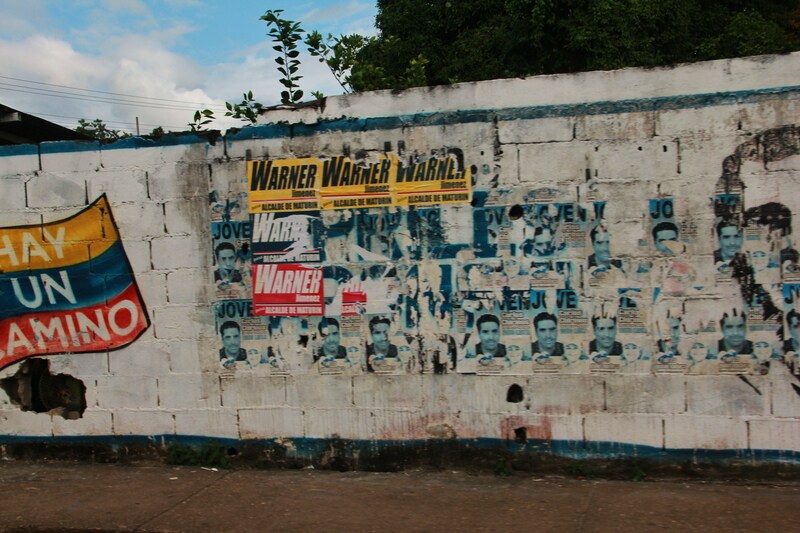 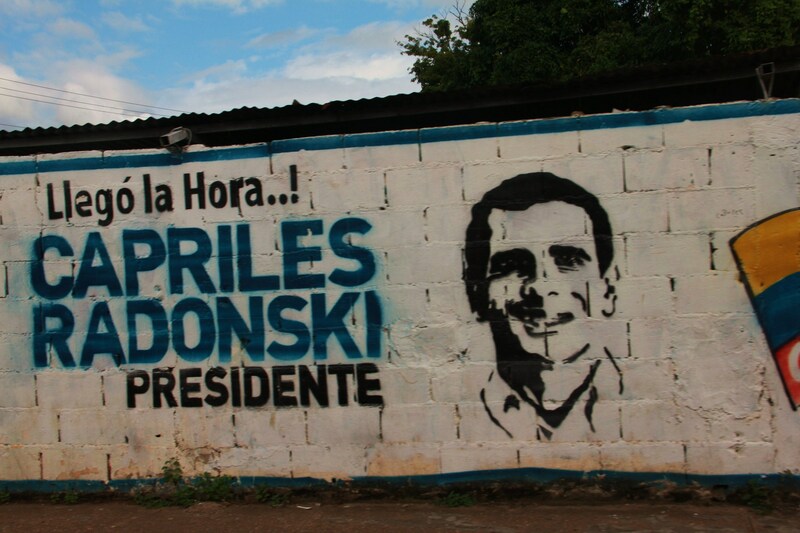 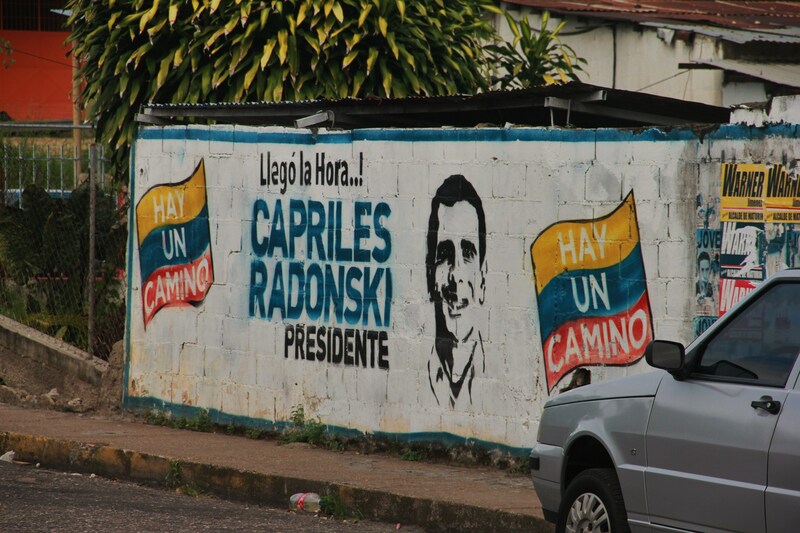 He’s faded back into being a governor in Caracas (he’s lucky he still has that.) 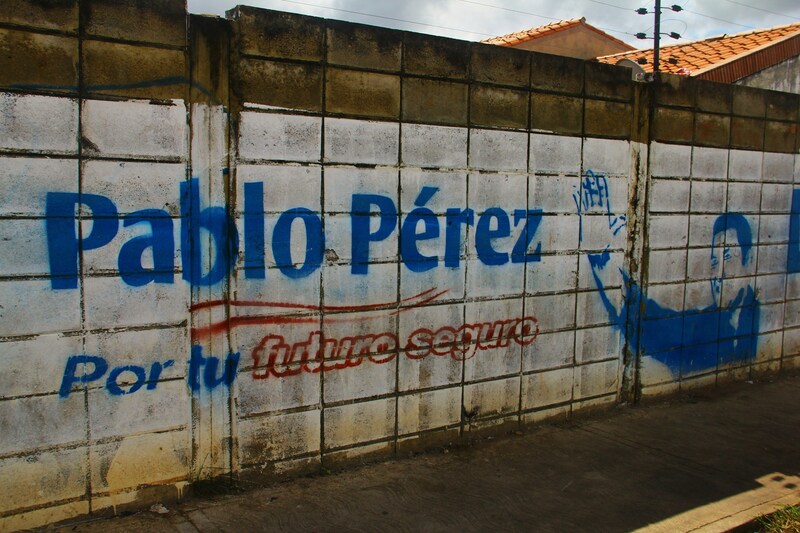 This guy was the biggest threat to Chavez’s presidency in 15 years. 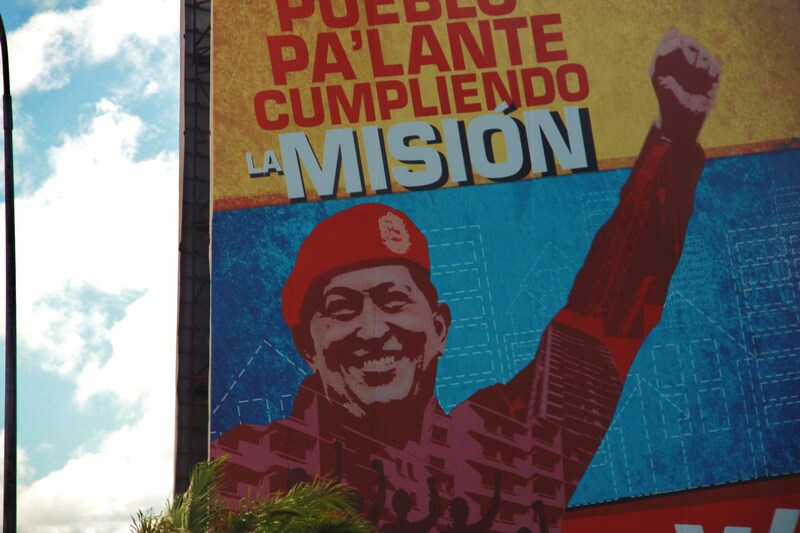 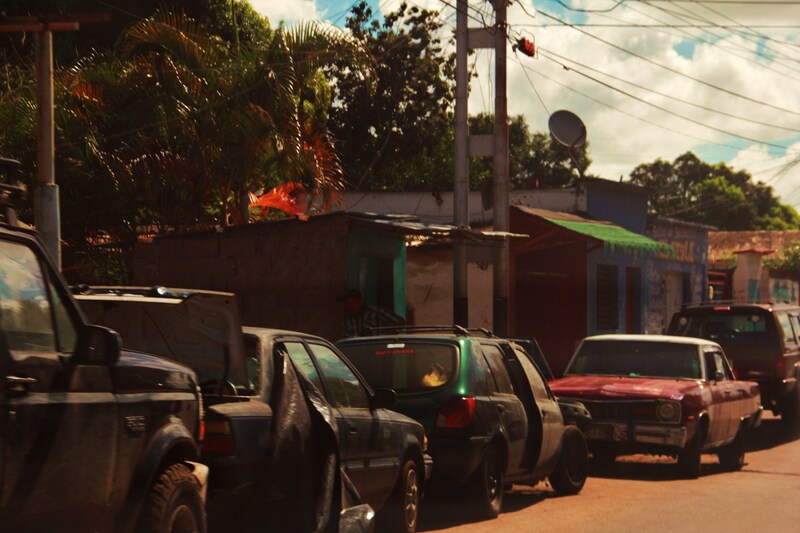 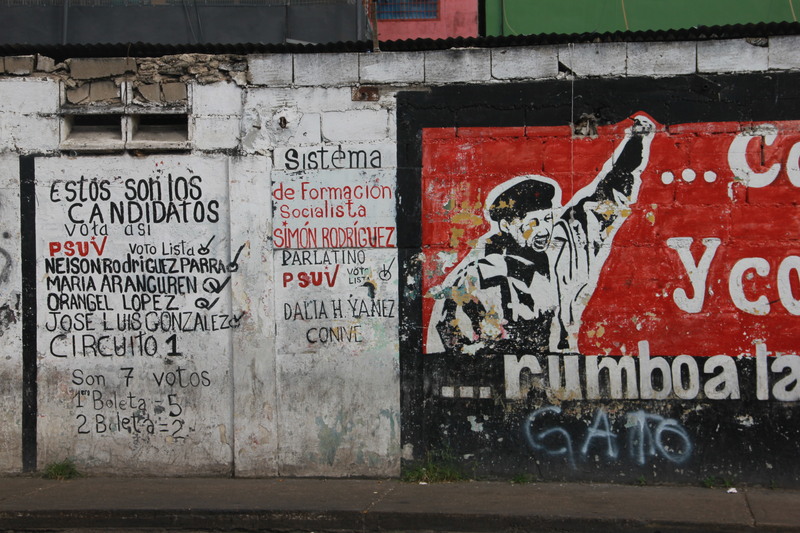 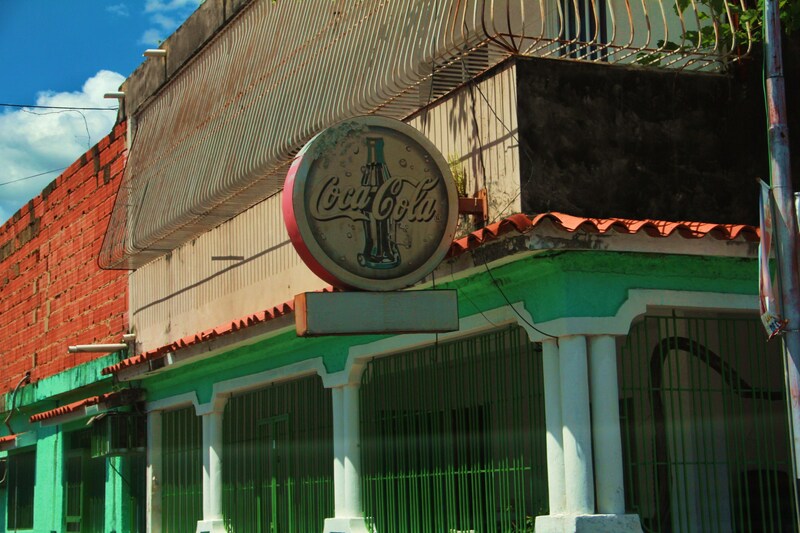 Though Chavez and his people tried to convince the world that this was a democratic election, untainted…even people within pessimistically concede that Chavez was going to be the winner, regardless. 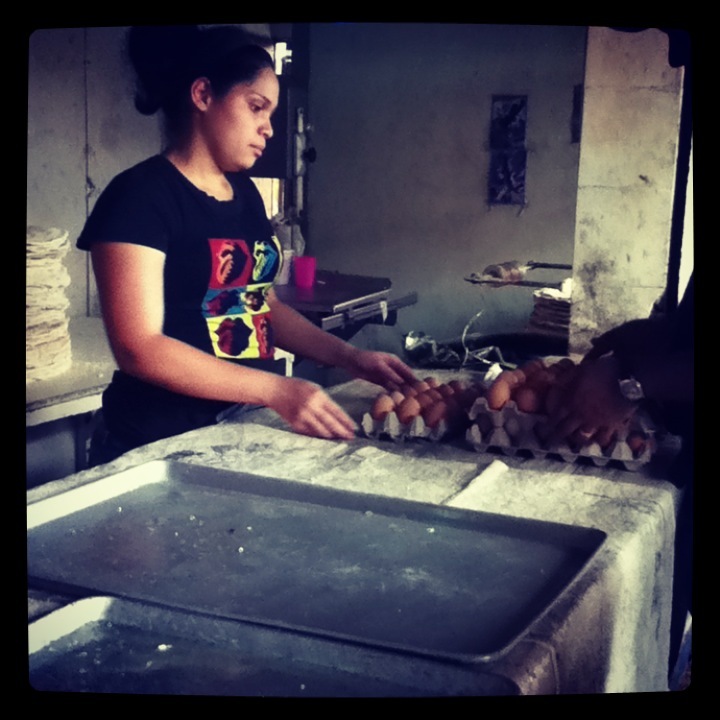 Before we were able to get to a grocery store, we were taken to a bakery for breakfast. 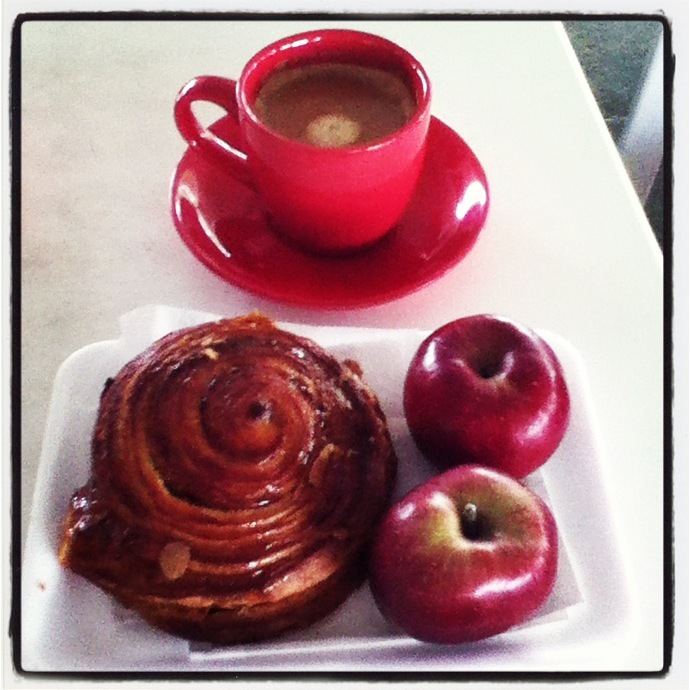 I got a coffee, cinnamon roll, and an apple. 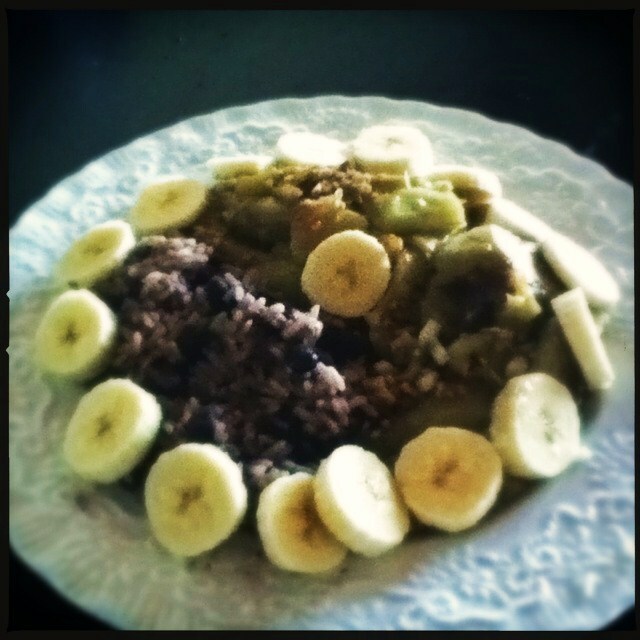 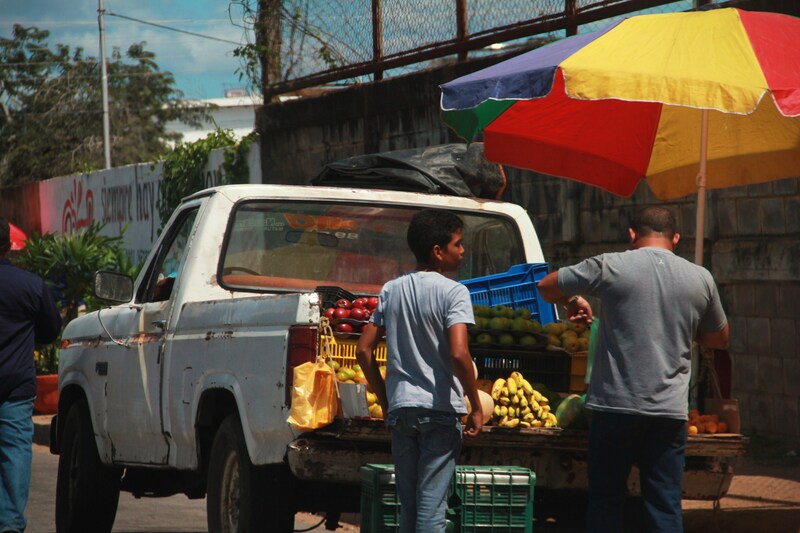 I was told that I was eating the most expensive fruit in Venezuela because apples are only imported. 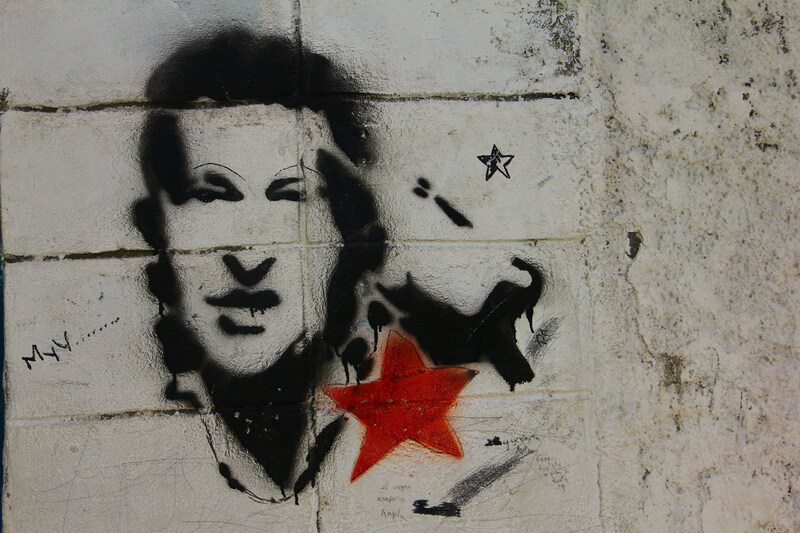 This woman’s face is everywhere because she is the governor of the state of Monagas and she is a Chavez loyalist. 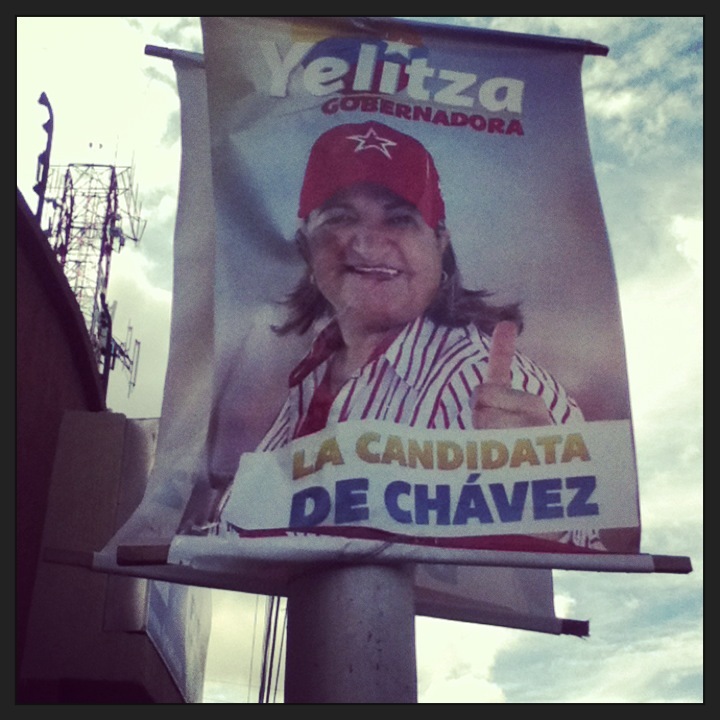 She just won the recent election in a close battle with the opposition. 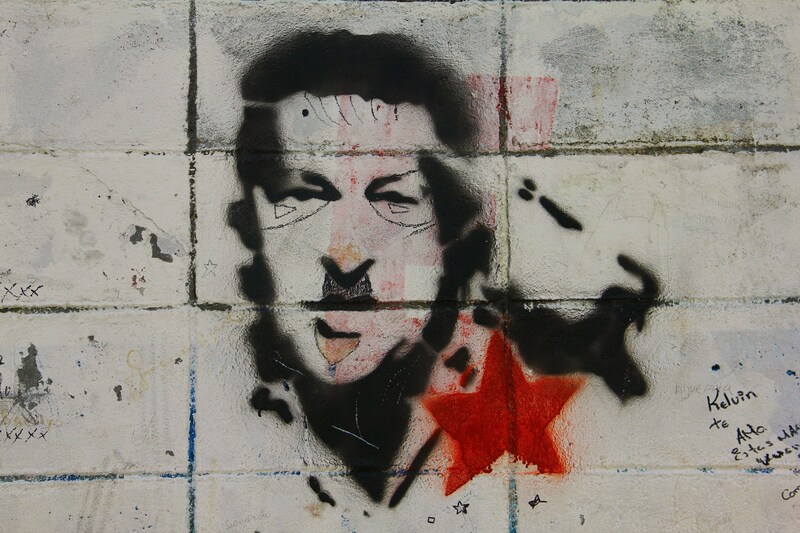 There he is again. 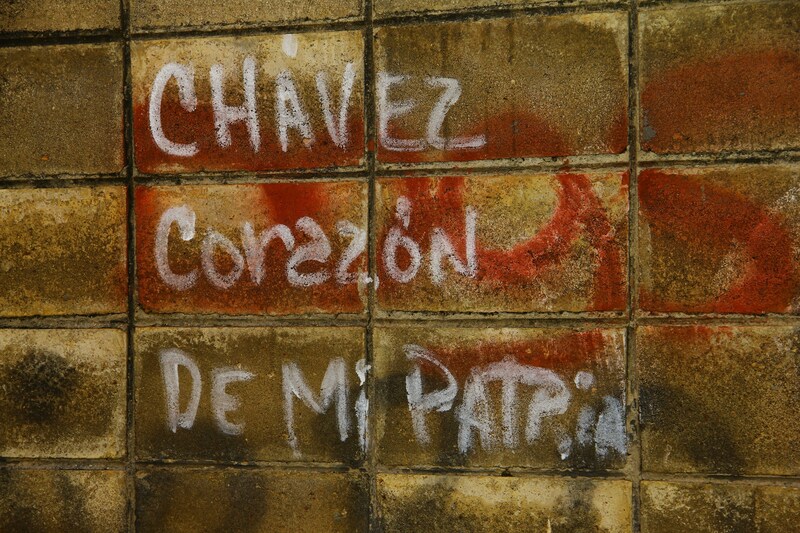 We’re not really hearing anything about his current condition anymore. 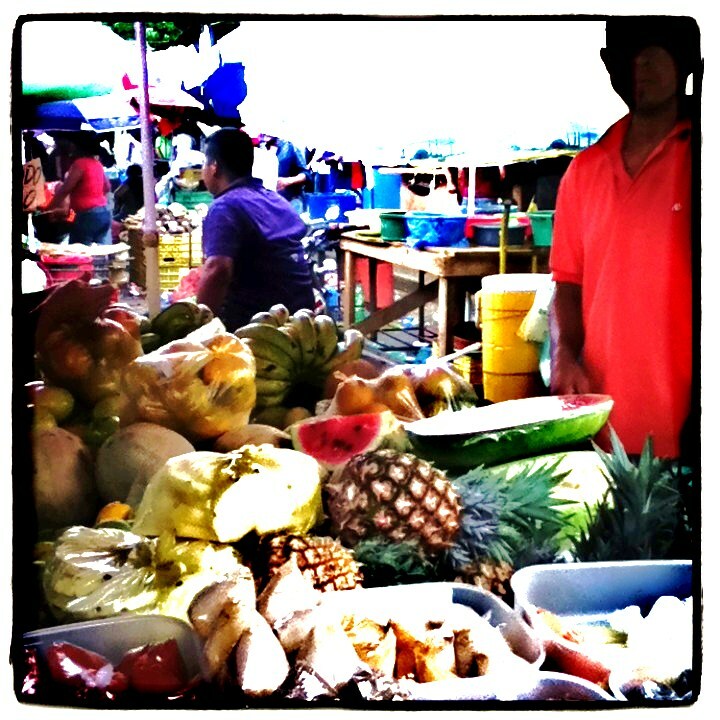 Taken to an outdoor market on Sunday. 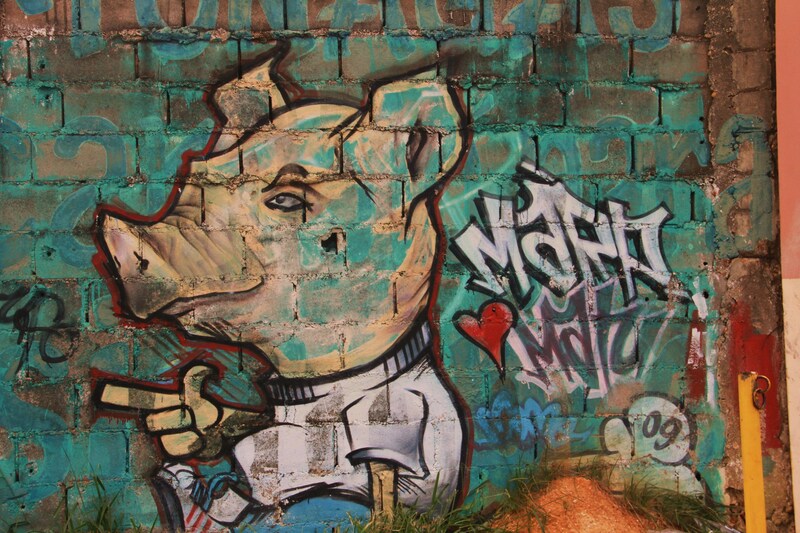 Like most markets of this kind around the world, especially Asia. 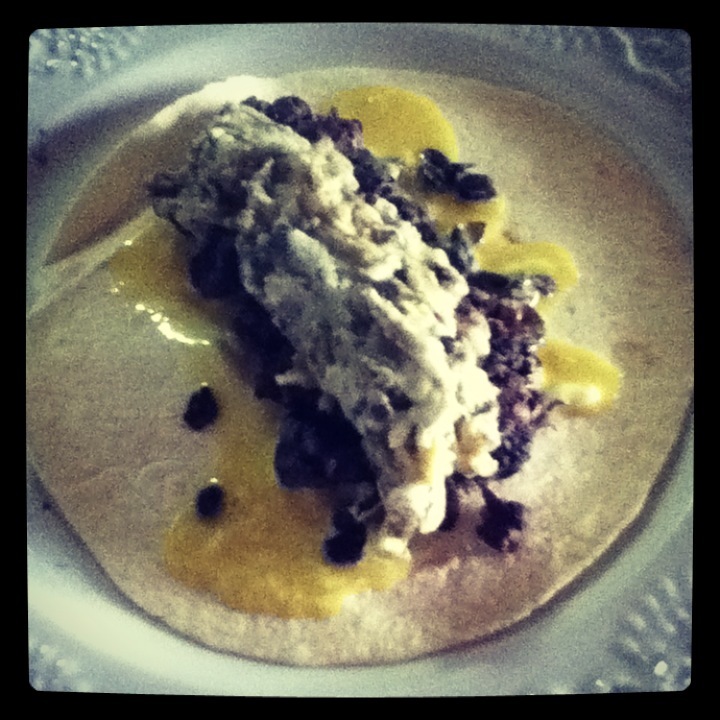 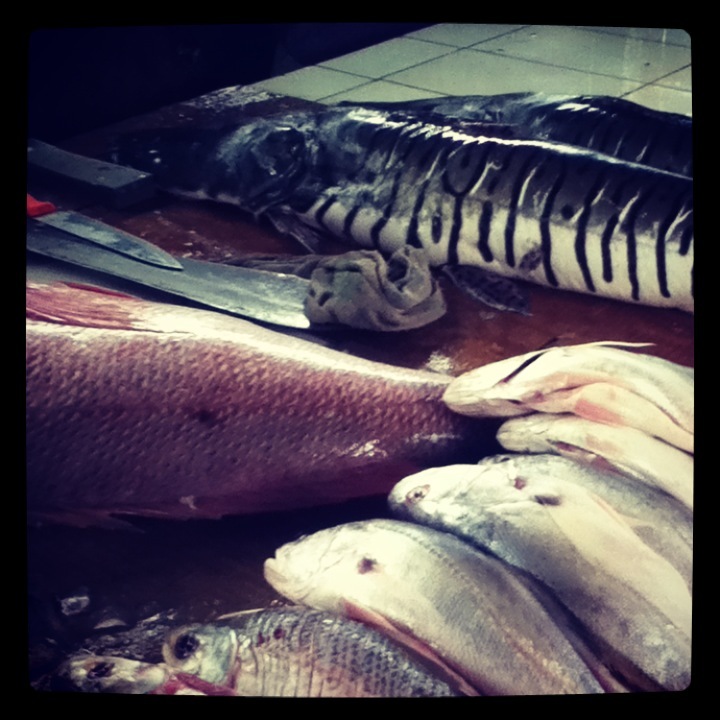 The smell of fish permeates the atmosphere and reasonably priced fruits and vegetables can be purchased.